Former Super Eagles captain Vincent Enyeama has been ruled out for the rest of the season with a knee injury. 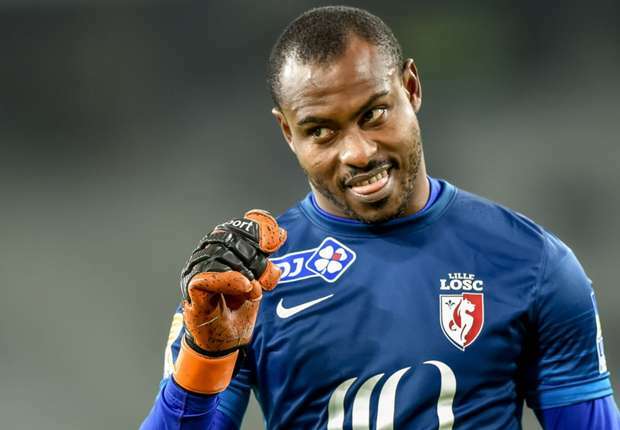 Lille manager Franck Passi in a press conference before their game against Montpellier on Saturday confirmed on the club’s website that Enyeama will soon undergo an arthroscopy of the knee that could keep him away from the fields until the end of the season. The Nigerian international was missing from action for Lille as they defeated Guingamp 3-0 in a Ligue 1 fixture last weekend with Maignan fielding in for the veteran safe hands. The news comes as a major blow to Super Eagles head coach Gernot Rohr who has reportedly made move to reunite the Eagles legend with his former team-mates in the national team set-up following Carl Ikeme’s absence to injury. Before Lille’s confirmation of the injury to Enyeama, the former Hapoel Tel Aviv refused to confirm or deny whether he was be staging a comeback to the national team after calling it quit in a controversial circumstance in 2015.